Red Clover tea is a healing and balancing herbal tea, helping to cleanse and nourish the body on a daily basis. With a long history of being a nourishing plant, this herb has been appreciated by many cultures and used in their traditional herbal remedies. While four-leaved clovers are often associated with luck and good fortune, this particular sweet clover is pretty special in itself, with its sweet smelling flowers and wonderful health benefits. Come and restore your balance! Red clover is an herb that is native to Asia and Europe, but may be found in all temperate climates today. It is a perennial herb that grown wild in meadows and has been cultivated for centuries as a fodder crop to enrich soils and as an herb for traditional medicinal infusions. This plant grows about 20 cm to 80 cm tall; it has three-lobed leaves and lovely red or purple bell-shaped flowers that bloom from spring to autumn with a have a nice sweet fragrant smell. Leaves and flowers are edible and are harvested in the summer months; they are then dried and enjoyed in a nice healing cup of tea. Red clover, in Latin trifolium pratense (meaning "found in meadows"), gets its common name from its purple to red flowers. It may also be known as purple clover, sweet clover or cow clover. This last name is due to the fact that it is often given to animals as nutritious feed. You may also find this herb under the name "women's herb" for its most famous benefit as an herbal remedy for menopausal symptoms in women. Other interesting names that have been given to red clover throughout history include meadow honeysuckle, cleaver grass, marl grass, trefoil and pea vine clover. This herb has long been cultivated for agricultural and therapeutic use throughout history. As a nutritious crop it helps to fix nutrients in the soil and at the same time feeding grazing animals. Long hailed as a purifier red cover was used as a symbol of purity since medieval times, helping to ward off disease as much as to ward off witches and evil spirits. Red clover was found in the traditional medicine of medieval Europeans, Asians and even Native American cultures, particularly for respiratory healing. In the 19th century, this herb was a common ingredient in tonics used to cleanse the body and it is still in use today. Today, red clover is used in herbal tea blends. A small amount of this herb is used in versions of Essiac tea, a famous healing tonic, along with other seven ingredients. Red clover is still used all over the world as a rotation crop and along with nourishing the soil, its flowers are harvested and dried to be used in salads, soups and to make a nice sweet tasting cup of tea full of health benefits. Red clover makes a nutritious infusion, rich in minerals such as calcium, chromium, copper, iron, magnesium, manganese, phosphorus, potassium, selenium, silicon, sodium, cobalt, nickel and tin. It is also packed with numerous vitamins such as A, B-complex, B2 and C.
This infusion is best known to making slow changes, improving your health over time instead of a sudden change. Its benefits are many and well worth the time it takes to make a cup of tea. Drinking red clover tea may help purify the blood, acting as a diuretic, ridding your body of excessive fluids and accumulated fatty elements. A cup of this tea may help to reduce bad (LDL) cholesterol levels and plaque build-up that could be one of the causes of heart attacks and strokes. Red clover may improve blood flow, reducing blood pressure and thinning the blood due to the presence of the substance coumarin. Red clover tea has a reputation for being a great liver tonic, improving situations of hormonal imbalances in men, but particularly in women. This herbal infusion may also help the lymphatic system, conducive to healthy breasts, just possibly reducing the risk of breast cancer. As a source of phytoestrogens, this herbal tea may boost estrogen production, making it the ideal tea to help relieve menopausal symptoms. Red clover has long been used in traditional medicine to help women with hot flashes and mood swings when going through menopause. Note: unfortunately, this herbal tea is only suitable for women who have not previously suffered from breast or gynecological cancers. Red clover tea may also help younger women balancing the menstrual cycle, reducing the effects of PMS and regulating your period. It is said to increase fertility in women, helping to promote conception. This herbal tea may also be taken if you are prone to heavy menstruations. Taking this herbal tea on a regular basis may protect bones against loss of density and strength. This may be particularly good for women who are prone to osteoporosis and may need extra spinal protection. This tea may also be helpful for men, as it may prevent the development of benign prostate hyperplasia, reducing inflammation and other prostate problems. This herbal tea could be considered a respiratory tonic, as it is said to be a great decongestant and expectorant, helping to expel from your body phlegm and other infectious elements that make it difficult for you to breathe. You may drink red clover tea when suffering from a cold, the flu or bronchitis. It may help to clear congested lungs. It may also soothe and calm your cough and sore throat just by you gargling with this tea. Tip: while it has been traditionally used to help children with chest complains, you should check with your child's pediatrician before using this tea medicinally. Its calming and soothing nature may also help with other breathing problems such as asthma and hay fever. If you are thinking about quitting smoking, then have this herbal tea nearby as it is said to calm the nerves as well as treat smoker's cough. A cup of red clover tea may help to boost the immune system on a daily basis. It is rich in minerals and vitamins that help to detoxify the organism from harmful elements that cause infection or inflammation. Red clover is also an herb that is rich in antioxidants, which are reputed to help prevent damage to the cells. This form of protection could just help you from getting sick, or speeding up healing when you come down with something. Although further study is needed, there may be a chance that drinking this herbal tea may help to prevent the growth of tumors and at the same time delay the effects of premature aging. This herbal tea may help fight other painful situations, such as arthritis, rheumatism or gout, which are caused by inflamed tissues and joints. The components of this tea may help clear away the inflammation and soothe the pain. Red clover tea may also be used externally to treat a number of skin conditions, from psoriasis and eczema to acne, blemishes and wounds. It may help to treat and clean the skin, helping to reduce itchiness and infection. Use this tea as a comforting warm compress to clean wounds, cleanse the skin, and it may just help to improve your skin overall. Carefully use soft cotton balls soaked in this warm infusion to help clean your eyes and treat conjunctivitis. Soak your feet in a warm red clover tea bath and it may help speed up the treatment of athlete's foot. You may even soak your body in it when faced with chicken pox or measles, to speed up skin recovery. You may also use this tea to rinse your hair. It is said to help moisturize dry hair. This is a soothing tea that helps calm the nerves and the mind. Taking a cup of this tea may help calm an upset stomach and treat indigestion. It is also said to help suppress appetite and clean your organism of harmful bacteria. With the approval of your doctor, you may drink red clover tea to aid in the treatment of syphilis, a sexually-transmitted disease. 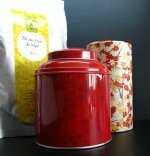 Have your first taste of Red Clover Tea now! This herbal tea has many health benefits, but it also contains some side effects you should be aware of as well as some necessary precautions you need to take. Red clover herbal tea is not recommended during pregnancy, as this is a uterine tonic that could stimulate the uterus and cause miscarriage. It may cause birth defects in the fetus as well as growth disorders. Although there is not clear evidence on how much red clover tea would be needed to cause these effects, you should play it safe and talk to your doctor before taking this tea. This applies whether you are pregnant or just thinking about having a baby as this tea may interfere with fertility levels. If you are taking birth control pills, this herbal tea should not be taken without the approval of your doctor as this tea focuses its action on your reproductive organs and hormonal stability. Some people may react to red clover tea and experience symptoms such as headaches, nausea or rashes. These may be signs of an allergic reaction, so you should probably stop taking this tea. If you have a history of heart problems and you are taking heart medicine, then do not take infusions of red clover without first talking to your cardiologist. This is because red clover may enhance the action of your blood thinners. Note: hemophiliacs should not drink this tea for this reason. Are you undergoing surgery or having a tooth pulled? Then you should stop taking red clover tea about two weeks prior to the intervention to prevent any excessive bleeding. Do not take this tea if you are allergic to aspirin as its effects are quite similar, and also if you are taking any form of medication, for cancer or for diabetes for example, talk to your doctor first, as this herbal tea may hinder or enhance the effects of your medication. If you are undergoing hormone replacement therapy or are forbidden from taking estrogen supplements, then you shouldn’t drink this tea as it interferes with your medication and natural estrogen production. Women with a history of breast cancer should not drink red clover tea, as it may accelerate the growth of breast and gynecological tumors. Do not drink this tea if you suffer from thyroid problems, as the components in this infusion may interfere with your medication. Now that you have all the information about the benefits of red clover, let's move to the kitchen and learn how to make red clover tea. You can use either fresh or dried red clover blossoms to make this tea. Start by boiling water in a kettle and getting a teapot and cups. As the water boils, place about 1 tablespoon of fresh or dried red clover blossoms in the teapot. 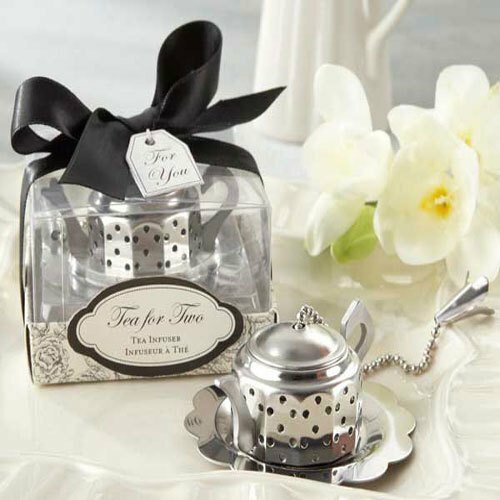 Pour the hot water over the flowers and let the tea steep for about 10 to 15 minutes. This herbal tea is sweet as the flowers have a natural sweetness to them. If you wish to, you may add honey to your tea. This is particularly good if you are using this tea to treat a cold or a nasty cough. Take this tea 2 to 3 times a day. Drink it warm for stomach or respiratory problems, but you may also add mint leaves and lemon to it and make red clover iced tea. Allow the tea to cool down before applying it - room temperature is good enough. If this is your first time using red clover tea on your skin, make sure to try it on a small area of skin first to check for any allergic reactions and only afterwards applying it to the affected area. You can apply this tea to itchy or dry skin whenever you need it. Use a soft cotton ball to gently clean any infections. Here is an idea: why not add this tea to your bath water to help treat itchy skin? Buy Your Red Clover Tea Today! Click on the image or on the link below to purchase from Starwest Botanicals your Organic Red Clover Blossoms. 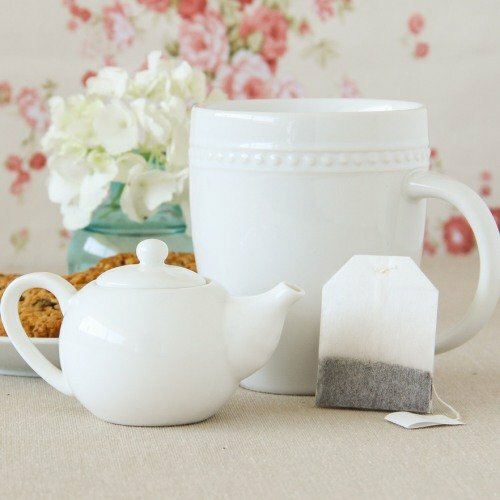 Brew a cup of a mild refreshing tea that is sweet tasting and comforting. 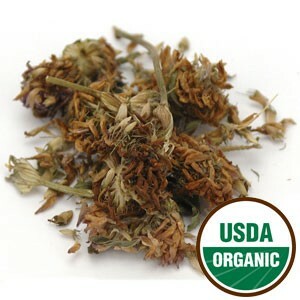 Organic red clover blossoms like are ideal to make a relaxing infusion that has a wonderful aroma. Buy your red clover tea now! This tea is easy to make and with a sweet flavor that makes any herbal remedy much more pleasurable. May Red Clover tea be right for you!